I’d love to connect with you! If you connect with me, I’ll send you a letter on occasion. I’ll send information about new resources I have found (like an awesome movie or book recommendation), cool things I’m learning and an offer to pray for you. I’m seeking a two-way connection here. I want to engage with you, so I’m hoping you will email me back with prayer requests and your own news! To get an idea of what a letter might look like from me, I’ve included my first letter below. Hi! I hope this letter finds you well and growing in the Lord! Here are a few resources and ideas I think you might like. 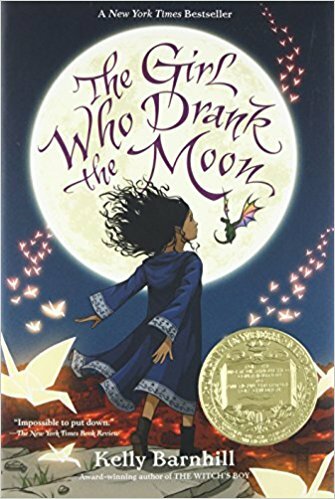 I just finished the book The Girl Who Drank the Moon by Kelly Barnhill. It’s a Juvenile Fiction and although I’m a slow reader and usually fall asleep every time I sit still, I totally DRANK this book up. It was such a pleasure to read! Magical, whimsical and lovely. One of the main characters reminded me SO much of my grandmother, which made it all the more endearing. I give it my highest recommendation for children and adults. You know, the moon reflects the sun a bit like we are to reflect the image of God. May we drink up our identity as a reflection and grow in power on earth just like the girl who drank the moon! I enjoyed reading some of Kelly’s blog too. I was pretty unimpressed with a speech given at a recent high school graduation this year with such a condescending tone that my dear friend rammed her elbow into my arm and kept it pushed in for well over a minute in response to the pain of it, like a person biting down on a towel during a surgery with no anesthesia. So, I give you Kelly’s beautiful graduation speech calling you to BRING IT. What you have to bring is vast, wanted and needed. Please bring it: How We Bear Witness to the World by Bearing Witness to Ourselves. 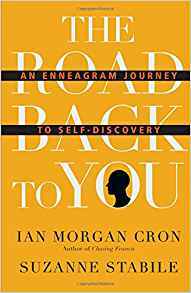 I’m reading Ian Cron‘s book, The Road Back to You: An Enneagram Journey to Self-Discovery. My personality type is definitely “peacemaker.” In reading about this personality type, I discovered peacemaking can be rooted in anger. When I first read that, I didn’t believe it because I was TOTALLY blind to this. But in self-reflection, I can see it TOTALLY is. Further, it has dawned on me there is such a thing as artificial peacemaking. It’s really just avoidance of conflict out of lack of courage. The price I have to pay for that? Lack of intimacy with some of my favorite, closest, most-loved people. This month, I made a decision to risk a little conflict in order to reach for intimacy and shed light in dark places. My beloved was kind, light was shed, intimacy was had. Conflict was non-existent. Could my peacemaking personality perceive conflict that isn’t even real? This might be a life-changer for me. I’ll definitely be blogging about this in the future. OK, so just the main advice seems almost enough in and of itself. “Do the next right thing in love.” This podcast by Emily P. Freeman is lovely, refreshing, sweet, gentle and enjoyable. I like to listen to it while I put on my makeup. It replaces the detestable chore with a treat I look forward to. I love one of her descriptions: It’s for those who “suffer from decision fatigue.” Yes, please. Need help. Following Emily’s direction to simply do the next right thing in love has empowered me and helped plant my feet on the right path for me when the various options and turns at an crossroads seem dizzying. This may be the first time I’ve conquered that dizziness in confidence and it feels really good. Two things stood out to me from a speech given at the recent graduation I attended. It was said, “Every morning you have a choice. You can choose to sleep with your dreams or chase your dreams.” I understand the sentiment, but chasing my dreams sounds absolutely exhausting. Further, if I catch my dream, it seems like there’s an end to it and somehow that’s depressing. If I don’t catch it, I feel like I’m always chasing. Chasing, chasing, chasing. Like I said, it sounds so totally exhausting. I actually like the idea of sleeping with my dreams, snuggling, cuddling and resting with them, eating with my them, living with them. My dreams are intertwined with the journey of life, not some end-goal I must chase. I find joy, not exhaustion, in this thought. It was said, “Rewrite the stars!” I would prefer to tell you. Study the story in the stars. What are they saying? Write something that reveals the beauty of their ancient legend in a fresh new way! OK, so THE MOST cool thing that happened this month. A while back, God gave me a picture of this prayer box. It was a gift to me and it fit PERFECTLY in my hands. On this box was written the word “Peace.” This box was given to me in response to my worry and fret for my children, especially my oldest. When my children were younger, I could satisfy their desires and meet their needs pretty well. Now they are getting too big for me. I can no longer satisfy their desires and meet their needs with my small self. God was showing me, I could pray. This was SO freeing for me! So, I’ve been praying very specifically and the Lord has answered so many of these requests! I don’t believe prayer is like magic, where we follow some strange steps and get supernatural results. BUT I do believe prayer (bringing our requests and heart to God and listening and watching for his response) makes all those vast desires and needs magically fit into our small, limited hands in a way we can safely treasure and hold them with Him. I’ll definitely be blogging about the prayer box in the future. I am so living this right now. I really like the line from the Broadway musical Wicked by Stephen Schwartz, “Those who don’t try, never look foolish.” Releasing this blog comes with a silly risk of looking ridiculously foolish, but it also makes me come alive and helps me remember what I’m learning, so it’s TOTALLY worth the risk. There’s no shame in trying. I’m learning perfection is not something to achieve, but something to overcome. Hence, this very imperfect blog! Get out of the way perfection! We are going for progress! Let’s leave the perfection part to Jesus – that’s his job! Woe to the one who attempts to do the work only God can do. I would love to pray for you! 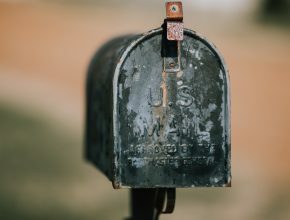 Please feel free to email me back with your prayer requests (written or unwritten – God knows what they are) and I will lift them up to the Lord with you! P.S. If you also feel the call to write and you’re not exactly sure how to go about it, the AWESOME group I’m a part of opens for new members in September. You may want to start looking into it now and I’ll keep you posted when they open up: hope*writers. All my letters will end with a handy dandy unsubscribe link.